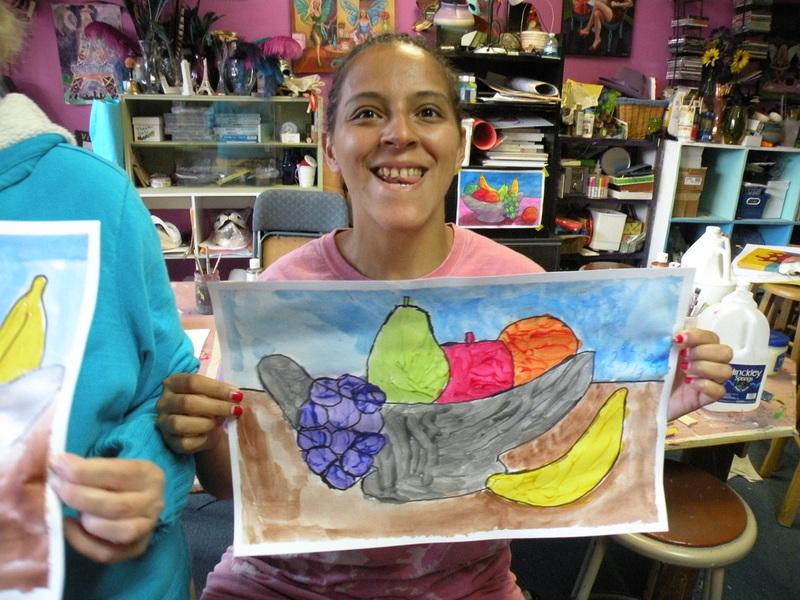 Bring art taught by artists to your population, Group Home Visits, Special Needs Centers and Schools. 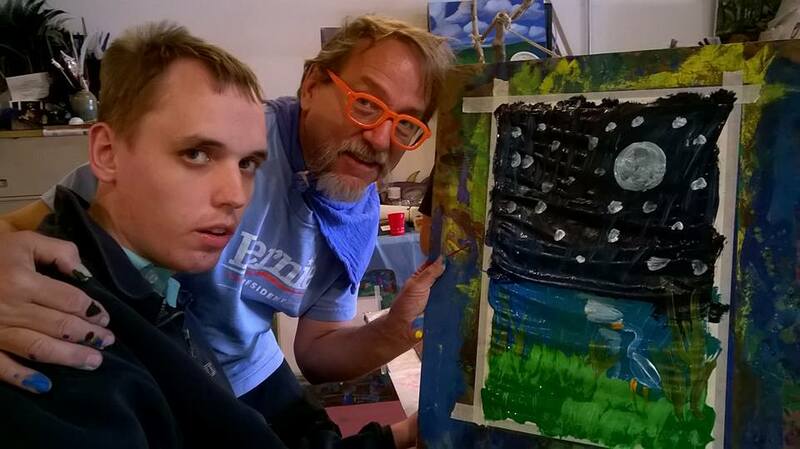 You are also welcome to bring your Special Needs Artist for Classes in our Studio in Chicago. Artists of any age, from 5 to 105, find inspiration in our instructors' safe, supportive art exploration that lead in various artistic directions. Painting, drawing, calligraphy, puppetry, mask, simple printing, sewing, collage, and sculpture are areas in which students can excel and accomplish creative goals. 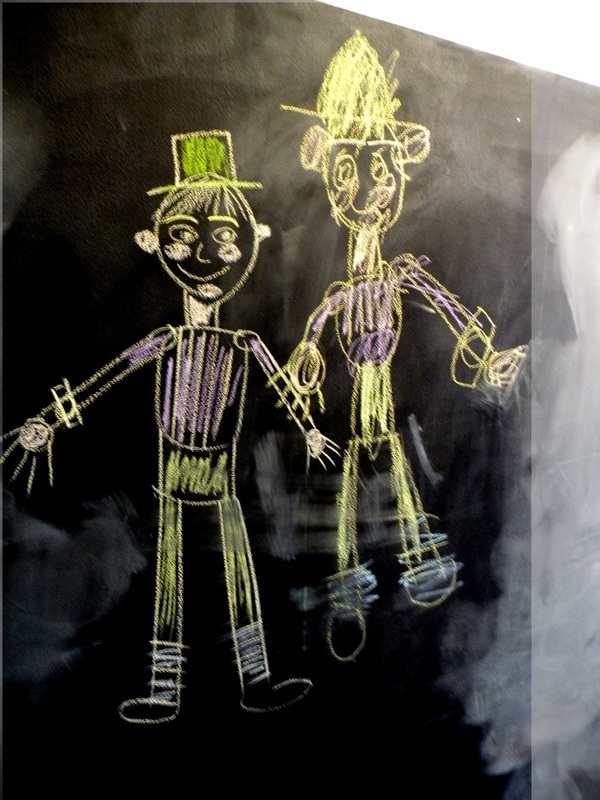 Offer time with our teaching artists to practice communication skills, develop sensory and motor skills, and form relationships with the wider community. Special Needs Artwork FOR SALE! 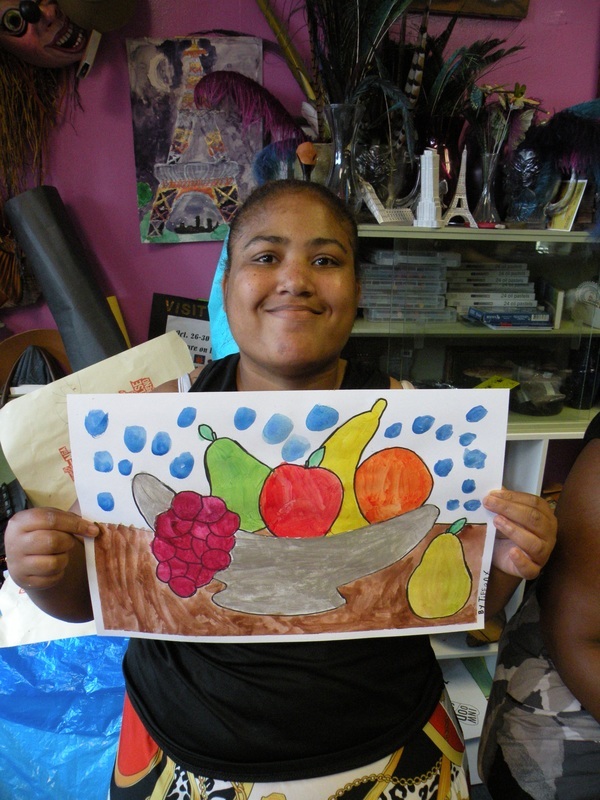 Help our Special Needs Artists to pay for classes and materials by purchasing their wonderful work. 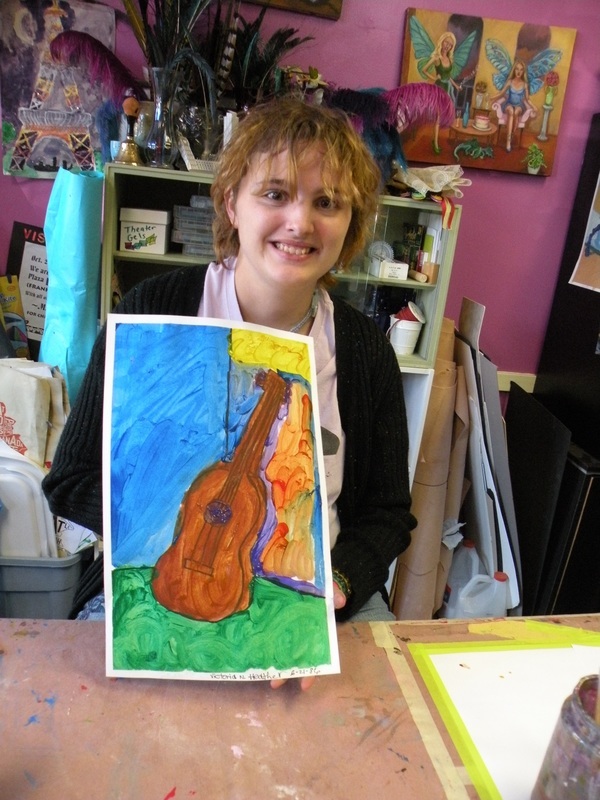 $35 pays for a tempera on paper painting, shipping and one week's art class. Thanks for your help! 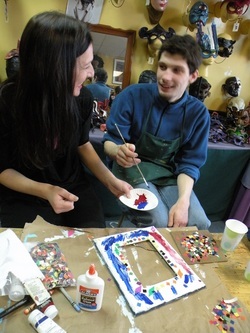 Becky has been painting with Jeff at Art Side Out Studio for over ten years. her back grounds swirl with special depth and color blending. she makes four paintings every class. Art Class is a big part of her week. Buy one of her paintings to help her pay for classes. She "will LOVE IT ! Eric loves little more than painting. For ten years he has been Art Side Out Studio's most prolific painter. 100% non verbal, painting is his form of expression. His abstracts are very popular. If you see one you like, it may disappear quickly. Your purchase pays for one week's class. 100% non verbal, Mike has three or four abstract techniques that he could do forever and a day. His spatter and swirl paintings are a favorite. Mike is always smiling and happy; a great guy to have around. Help keep him painting, buy a painting and pay for a week's class.